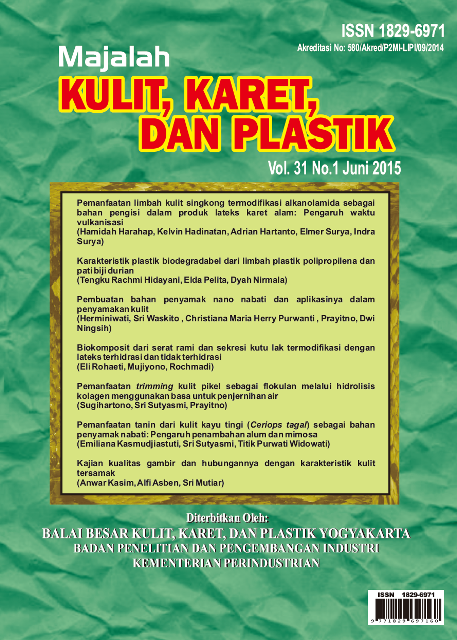 Majalah Kulit, Karet, dan Plastik (Journal of Leather, Rubber, and Plastics) publishes open access original research focused on materials, processes, and waste management in the field of leather, rubber, and plastic. 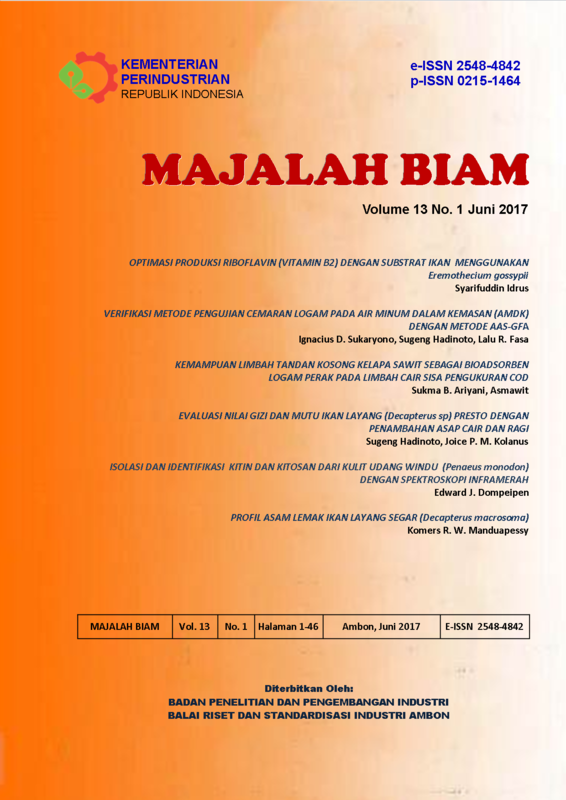 Majalah Kulit, Karet, dan Plastik (MKKP) is published and sponsored by Center for Leather, Rubber, and Plastics, Ministry of Industry, Indonesia and accredited by LIPI Number: 777/AU1/P2MI-LIPI/08/2017. Submission, processing and publication of a manuscript are free of charge. MKKP is indexed by Directory of Open Access Journal (DOAJ), Crossref (DOI Prefix: 10.20543), Indonesian Publication Index, Indonesian Scientific Journal Database, Bielefeld Academic Search Engine, WorldCat, Mendeley, ResearchBib, Citeulike and Google Scholar. Each manuscript will be reviewed by at least two peer reviewer in appropriate fields. To uphold fairness, a review process is done by a double-blind review. Typical time to conduct the review is one month. The accepted article will be published every June and December.